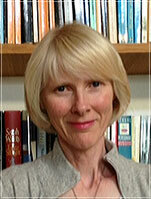 Hello, my name is Susan Lyons, and I am an experienced counsellor with a private practice serving Winchester and area. I provide individual counselling for adults and young adults in once-weekly sessions. I am an accreditied member of the British Association for Counselling & Psychotherapy (BACP), and I have a Diploma in Psychodynamic Counselling recognized by both the BACP and the Westminster Pastoral Foundation (WPF). More information on both of these professional organizations can be found on the other information page of this website. I have experience counselling adults and young adults who are experiencing difficulties with any of the following: depression, anxiety, grief and loss, making and sustaining satisfying relationships, anger and conflict, feelings of alienation and/or isolation, and issues surrounding gender confusion/identity. I offer supportive, non-judgmental therapy in a safe and confidential space, and I adhere to the BACP's guidelines of ethical practice. In addition to my professional qualifications, I regularly attend Continuing Professional Development Workshops and Seminars to ensure that my work stays current and is informed by recent developments in theory and practice.